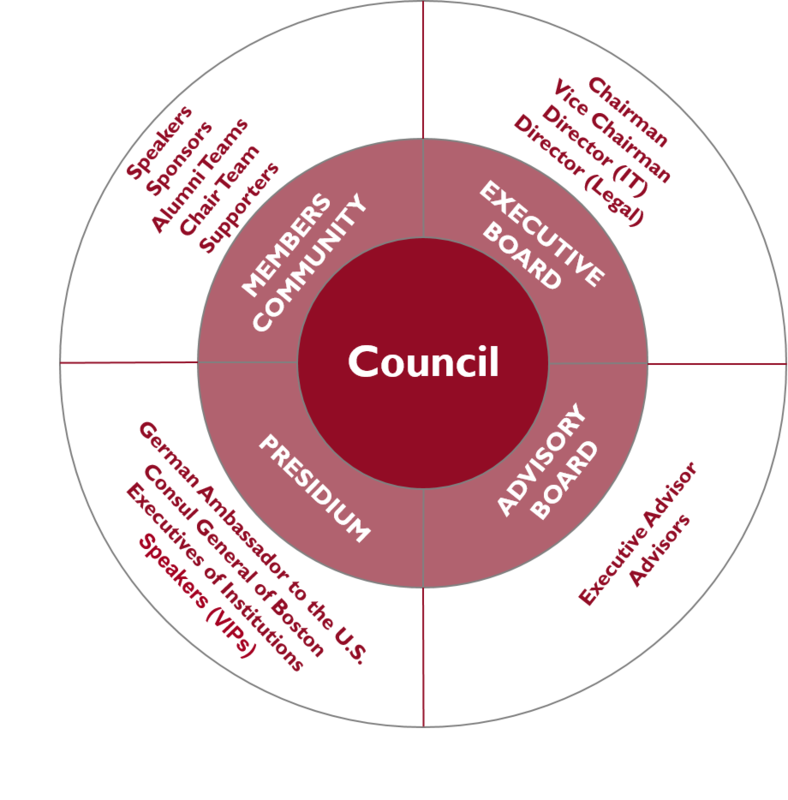 The Council | Harvard GAC e.V. The Council of the German American Conference at Harvard e.V. brings together American and German leaders from business, politics, and academia with motivated students. During the annual German American Conference at Harvard participants from diverse backgrounds ask tough questions, learn from each other, and engage in dynamic discussions of the most important transatlantic issues today. Beyond the conference, members have the unique opportunity to participate in the Council's local events and discussion forums, which they will leave with an expanded network and concrete ideas of how to tackle today’s cutting-edge challenges. By building a community of aspiring and established leaders in the U.S. and Germany, the Council aims to become a moving force in bettering transatlantic relations. The Council strives to foster constructive debates on transatlantic issues that move the world. Members ranging from active students, recent graduates, and established leaders of our time ensure the intergenerational character of the transatlantic dialogue within the Council. Discussions in smaller, more informal settings are organized on both sides of the Atlantic. The Council supports the student team in the planning and organization of the respective German American Conference at Harvard. In particular, the Council helps with selecting and inviting speakers. The Presidium ensures direct contact to top-class speakers, key figures in the public and private sphere as well as media representatives. Through regular events on both sides of the Atlantic, the Council helps to mutually understand common values in Germany and the United States. Furthermore, it allows decision-makers and students to connect on equal footing during confidential issues. All members of the Council have first-hand experience of studying and living in the U.S. The Council’s Network connects the current and future generation of leaders from business, politics, academia and media.